blacksn0w along with blackra1n RC3 were released earlier today which can jailbreak all iPhone’s & iPod touches, and can unlock iPhone 3G/3GS running on 3.1.2 firmware with 05.11.07 baseband. You can follow the following step-by-step tutorial/guide to unlock your iPhone 3G and iPhone 3GS with the latest iPhone 3.1.2 firmware using blacksn0w from Cydia. This unlocking guide applies to iPhone 3G and 3GS users who were already jailbroken on 3.1.2 firmware using PwnageTool 3.1.4 instead of blackra1n. Those of you with iPhone 2G should follow the guide posted here for unlocking and jailbreaking 3.1.2 firmware. Those of you who are running iPhone 3.1.2 Firmware with 05.11.07 baseband should follow the guide posted here to jailbreak, and here to unlock iPhone 3G/3GS using blackra1n RC3. 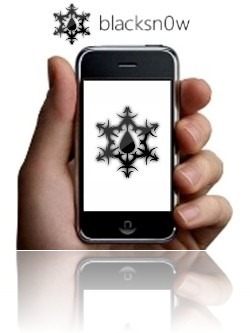 Step 1: Follow the guide here to jailbreak your iPhone 3G or 3GS using PwnageTool on firmware 3.1.2. Step 3: Now simply restart your iPhone. Voila! You are now running a fully unlocked and jailbroken iPhone on firmware 3.1.2 on your iPhone 3G or 3GS. UPDATE 1: If you encounter issues with WiFi after unlocking with blacksn0w then you should try and reset your network settings by navigating to Settings –> General –> Reset –> Reset Network Settings and then reboot the iPhone. Dear All, I need your help to revive m iphone 3GS. When I received it, it was coming on with Apple logo and later connect to itunes with usb picture. I managed to revive it with blackra1n RC3. It was working. But each time while rebooting same issue of logo and itunes. I had to use again blackra1n. Later I tried Spirit, did not work. I switch to blackra1n, and now it is not working again. I get the logo of blackra1n twice and it develops error. I used blackfreeze to repair blackra1n, after that it keeps on re-booting but iphone not coming up. Please help me, I will be ver grateful to all of you. ok so i did this but now my iphone won't get past the silver apple logo. then it will shut off and do it again. my computer won't recognize that i have it plugged in so i can't restore it. what do i do?? help please!!!! Do i need to have the new sim card installed while i run blacksn0w for this to work? i recently jailbroke my iphone and then used blacksnow to unlock it. Now it will not start anymore and only get the apple icon at the beginning but nothing else. Can someone help me? ?